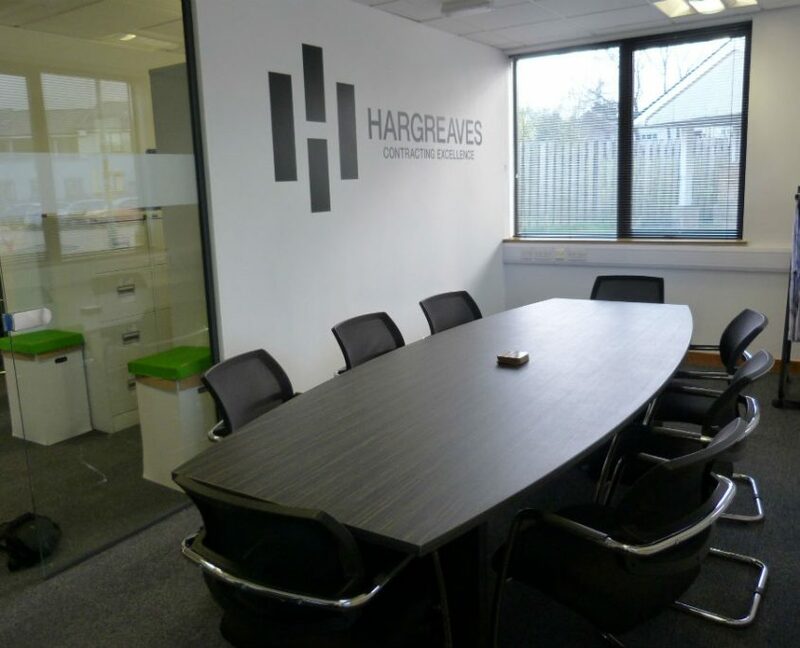 Mick at Hargreaves Contracting contacted us to help with their new office move as they were looking for a new boardroom table and matching furniture to have a striking meeting room/boardroom to showcase their new re-brand and company colours. 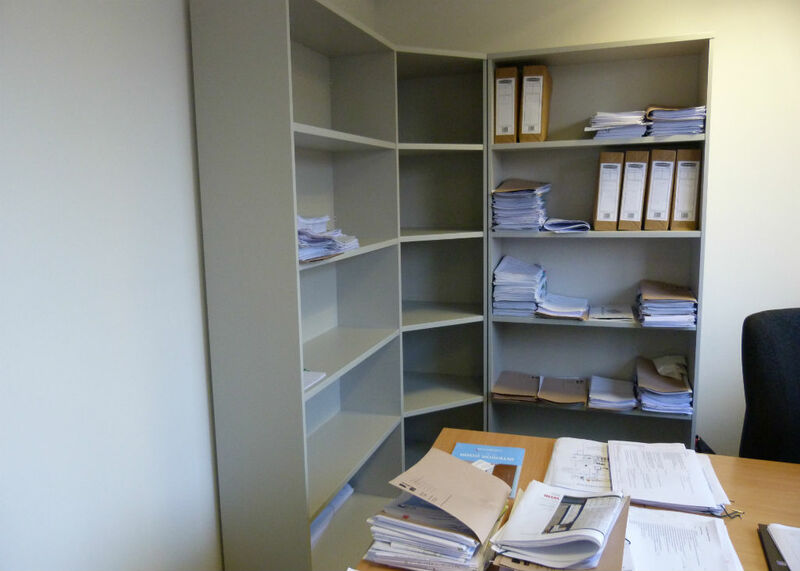 Bev our Managing Director visited their offices at the Rising Bridge, Accrington where they were taking new space, to discuss what their requirements were and what was available in our boardroom furniture that would stand out for them. 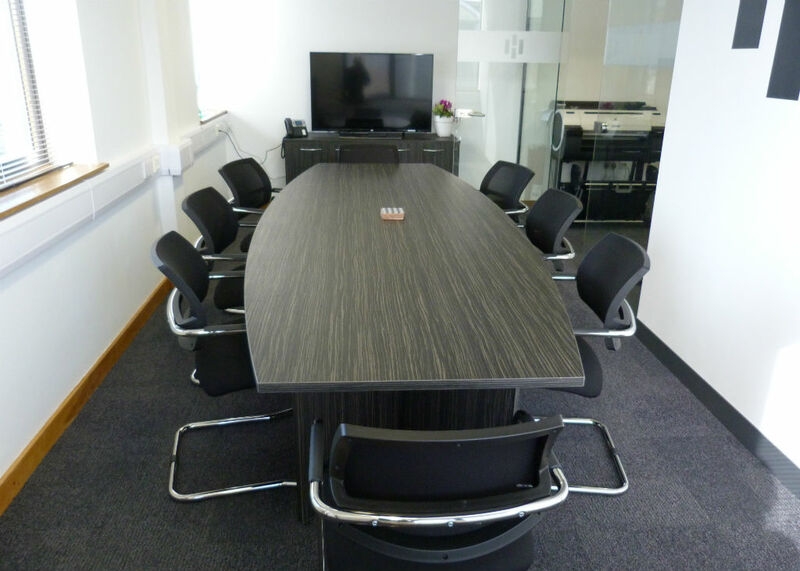 A quotation was provided after coming to our 10,000sq ft showroom to view the boardroom table and other options. 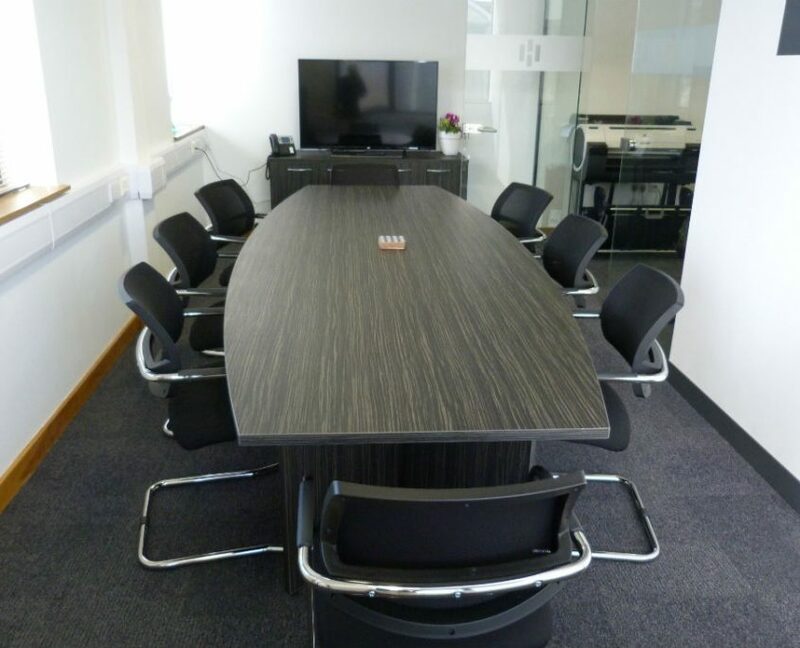 Once a decision was made an order was placed as they were happy with the recommendations and the prices, then the installation of the boardroom table and matching office furniture took place. 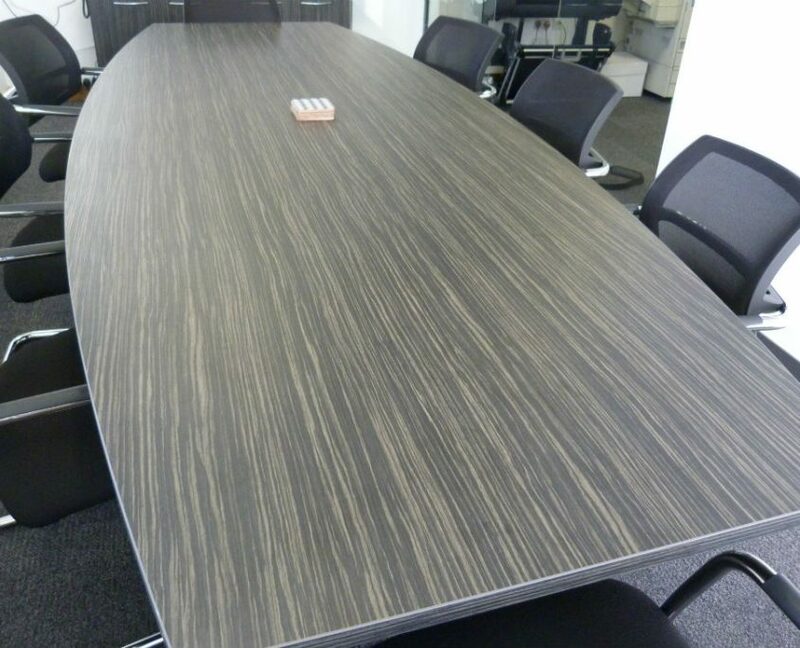 The boardroom table used was from our Ambus range of boardroom tables. 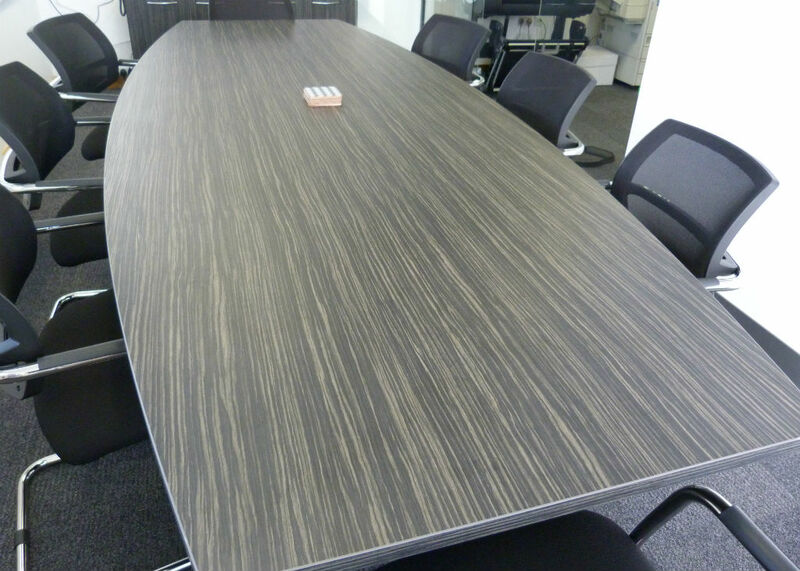 The boardroom table was designed in a barrel shape with arrowhead base in the Macassar wood finish. 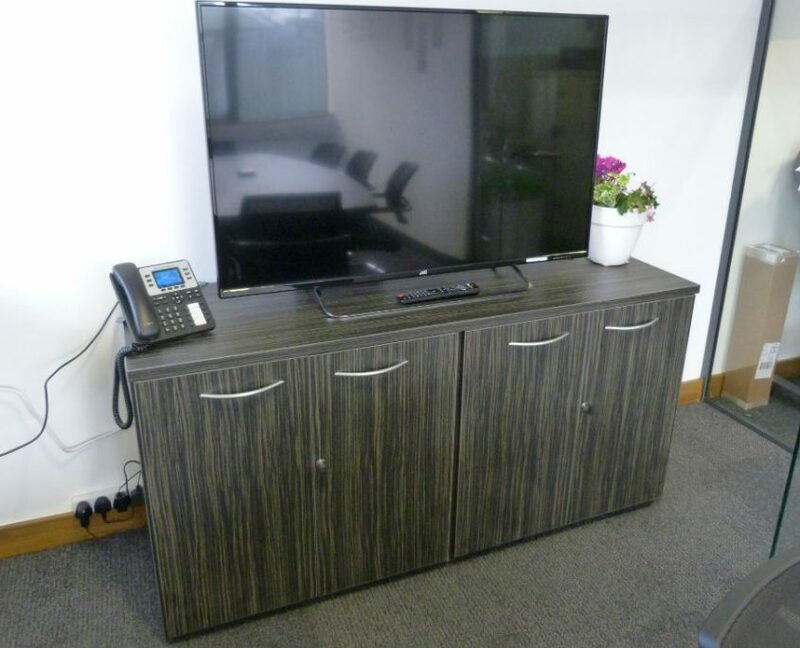 To match the boardroom table in the same wood finish is the double door credenza suitable for meeting room storage and suitable to hold televisions for training purposes or video conference calls. For the chairs around the boardroom table, we supplied the OCLUB meeting chairs in black with a mesh back and chrome base. 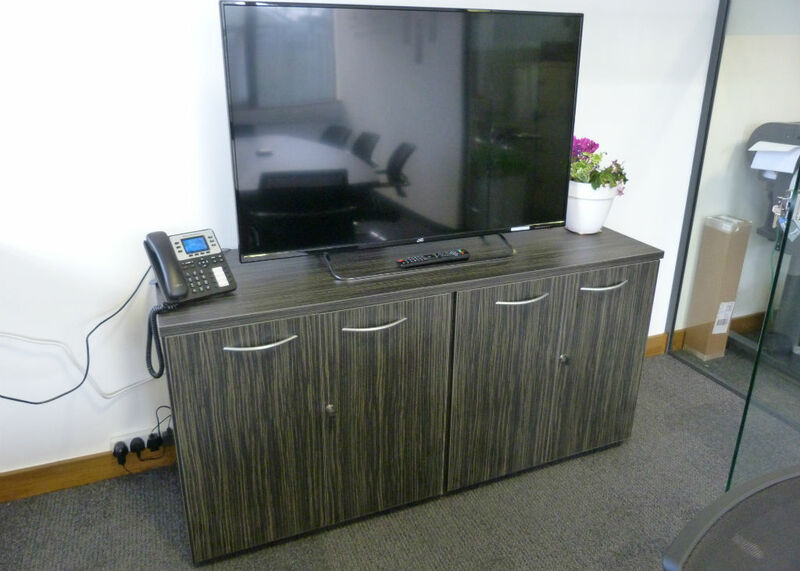 All the furniture was matched to fit their new company re-brand and colours and it all tied in perfectly together. 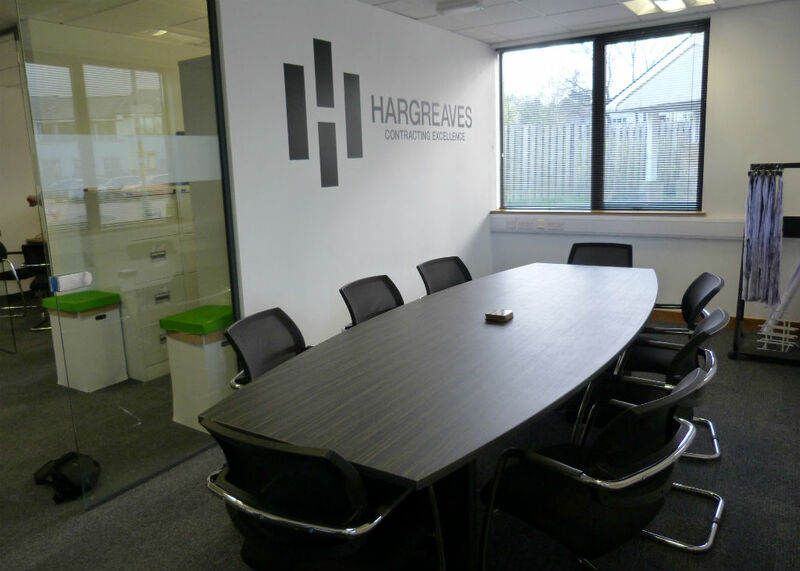 See what Hargreaves Contracting had to say about their experience with Bevlan and if we beat expectations with their new boardroom table and matching office furniture. 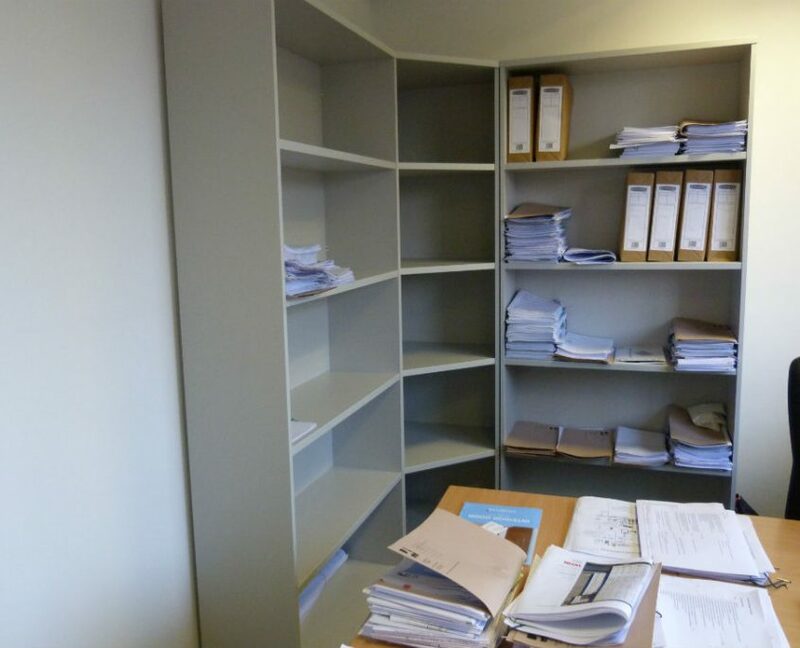 Office Furniture Manchester, Office Furniture Liverpool, office furniture warrington, office furniture preston, office furniture lancaster, office furniture lancashire, office furniture north west, office fit out manchester, office fit out liverpool, office fit out warrington, office fit out preston, office fit out lancaster, office fit out lancashire, office fit out north west, office interiors manchester, office interiors liverpool, office interiors manchester, office interiors warrington, office interiors preston, office interiors lancaster, office fit out lancashire, office fit out north west, office design manchester, office design liverpool, office design warrington, office design preston, office design lancaster, office design lancashire, office design north west, office space planning manchester, office space planning liverpool, office space planning warrington, office space planning preston, office space planning lancaster, office planning lancashire, office planning north west. office screens, room dividers, private booths, private areas, educational furniture, educational screens, screens, school furniture, college furniture, university furniture.